Gone are the days when you simply arrive at the airport and join a queue at the Geneva taxi rank. Too often this would involve a long wait, uncertainty over what you might end up paying the taxi driver, or in the worst case not even be able to get someone to give you a lift to resort! At Ski-Lifts we take the uncertainty away for you. We offer a wide range of airport transfers from Geneva airport to ski resorts throughout France and Switzerland. 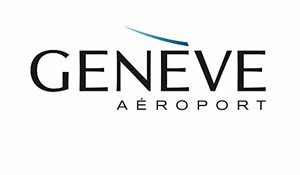 You can get a quote and book your transfer online, you receive an instant confirmation by email and then you can relax, safe in the knowledge that your driver will be waiting for you when you arrive at Geneva airport. For your return journey, we send you a text message the day before you depart, confirming exactly what time you will be picked up from your accommodation. All of our drivers are English speaking and are knowledgable about the area that you are going to. We can provide any baby or booster seats you require, free of charge, simply specify how many you need on the booking form. Not only is booking your airport transfer with Ski-Lifts more convenient than getting a taxi from Geneva airport, we are also extremely competitively priced, meaning we offer some of the cheapest options for getting from Geneva airport to your ski resort. We offer a full range of airport transfers, to suit all budgets, from shared and shuttle transfers, to private transfers,limousines and coaches for larger groups.